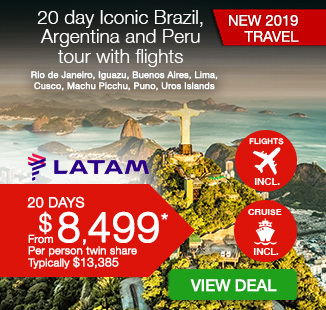 14 day Peru and Machu Picchu tour including return international flights, accommodation, breakfast daily, private coach transportation, in-depth sightseeing, tour guides and more. per person twin share |	Typically $7,045! 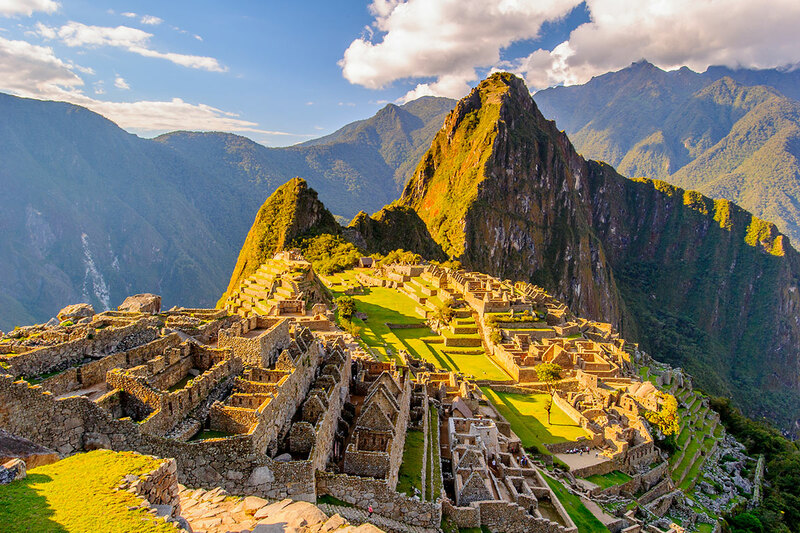 Adventure awaits you at every turn with this incredible 14 day Peru and Machu Picchu tour. Discover the 2000 year history of Lima, a place rich with history and culture. 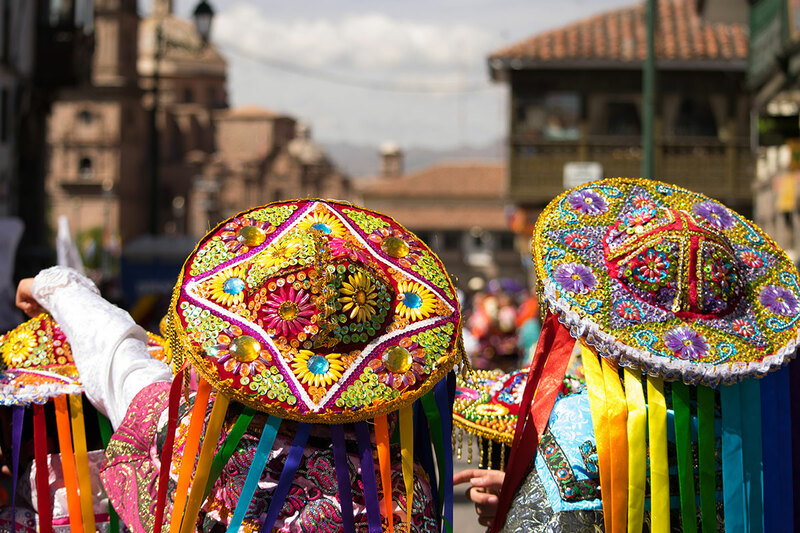 Fly to Cuzco in the Peruvian Andes and learn about the oldest continuously inhabited city in the western hemisphere. 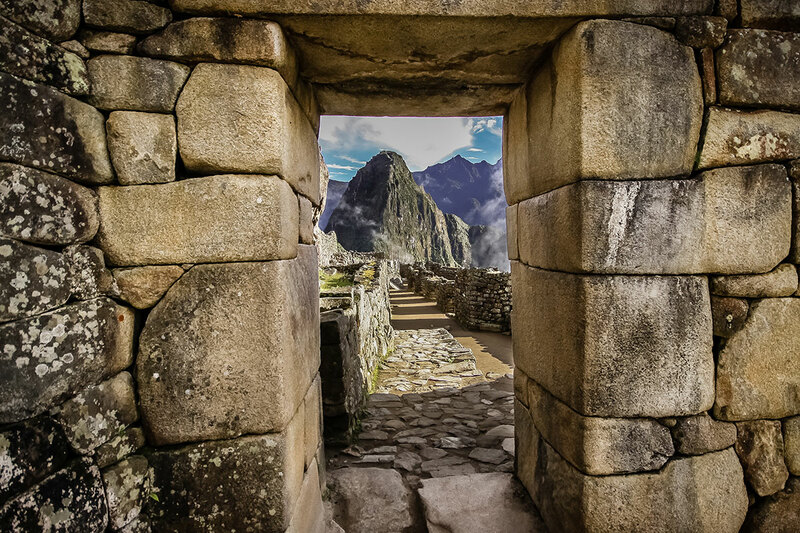 Journey through the misty peaks of Machu Picchu to the “Lost City of Incas,” one of the New Seven Wonders of the World. Watch the South American llamas and alpacas graze the immense plains of Puno, situated on the Peruvian side of Lake Titicaca. Board your boat to the fascinating Uros Floating Islands where you will learn the traditional customs of the Uros people. Relax in the hot springs of Colca, a place where tiny villages hide in the unspoiled countryside of the Andean hills. 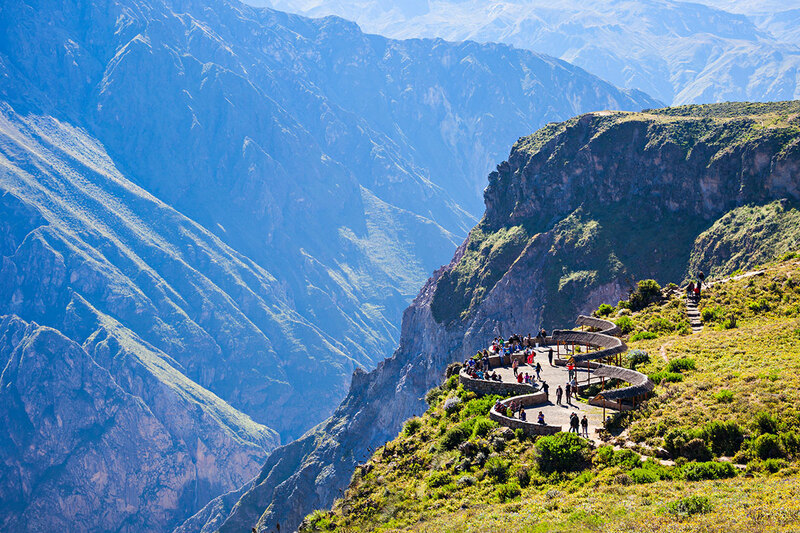 Visit the awe-inspiring Colca Canyon, the deepest in the world, and home to the extraordinary Andean condor. Drive to Arequipa, a remarkable colonial city influenced by a Spanish-based culture. 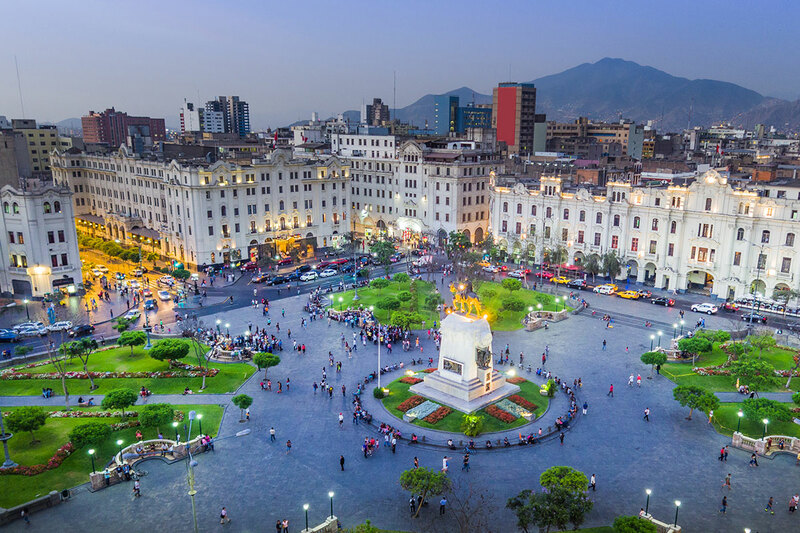 Interact with locals, shop, eat and explore, before finishing your journey in Lima with a farewell dinner in the trendy Miraflores District. 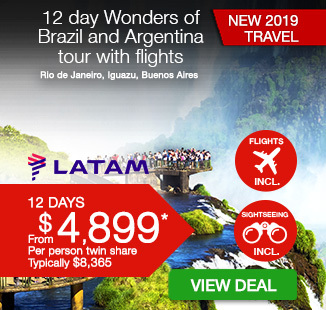 Your package includes return international flights, accommodation, breakfast daily, professional English speaking tour guides, in-depth sightseeing and more. Today, depart Australia for Lima, Peru! On arrival you will be met and transferred to your hotel. This morning’s tour of Lima, with its 2000 years of history, begins at the colonial centre of the city, declared a UNESCO World Heritage Site, with its historic buildings surrounding the splendid Plaza Mayor. 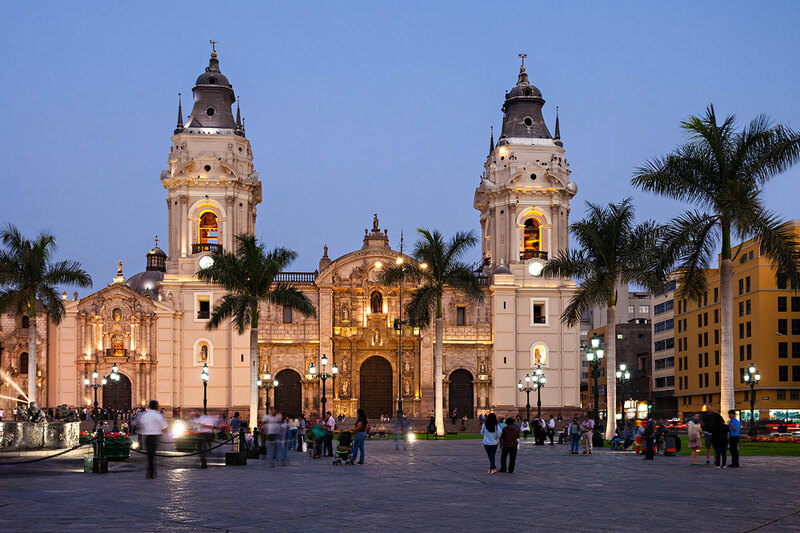 View the impressive Palace of the Archbishop with its fine carved balcony, the opulent Government Palace, official residence of the President, and the 16th century Cathedral of Lima whose first stone was laid by Pizarro. Continue to the 17th century Monasterio de San Francisco complex with its magnificent tiles, ornate carved ceilings, exceptional paintings and world-renowned library. Spend the remainder of the day at leisure. Optional Tour (at own expense, refer fine print): Pachacamac Pre-Inca Ruins tour – visit the archaeological site of Pachacamac, one of the largest religious centres in pre-Inca times on the Peruvian coast. Optional Tour (at own expense, refer fine print): Evening Larco Herrera Museum with dinner – experience one of Lima’s most magnificent museums by night that also includes a light supper. Admire the world’s largest collection of pre-Columbian masterpieces and a stunning exhibition of gold and priceless jewels. Depart Lima this morning and fly to Cuzco in the Peruvian Andes. 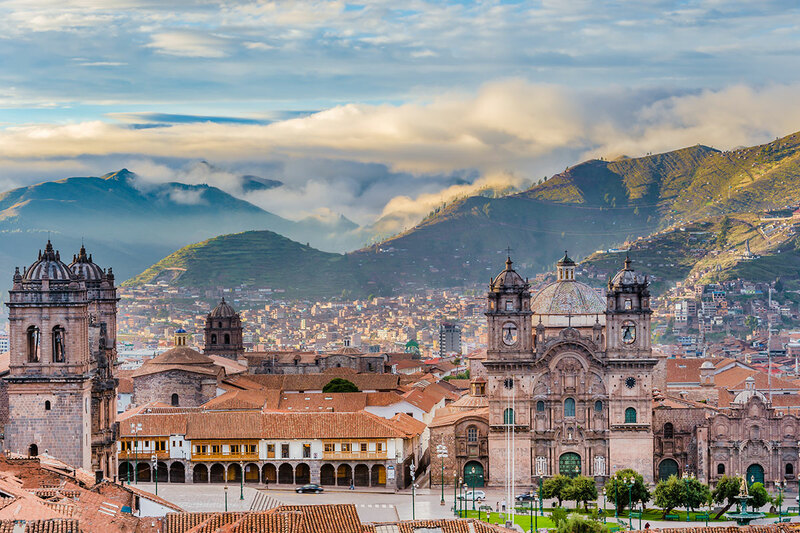 This ancient capital of the Inca Empire is the oldest continuously inhabited city in the western hemisphere, designated a UNESCO World Heritage Site. Upon arrival, transfer to your hotel in this historic city and spend the rest of the day acclimating to the altitude. Please note – due to the high elevation, travel in the Peruvian highlands may cause some passengers to experience the temporary effects of altitude sickness. If you have any concerns please consult your healthcare provider prior to departure from Australia. An early start today for our morning transfer to Sacred Valley’s Ollanta Station to board The 360° Train. We travel through misty peaks to the astonishing ancient citadel of Machu Picchu, the “Lost City of the Incas”, designated by UNESCO as one of the New Seven Wonders of the World. Spend the morning viewing the unforgettable wonders of this 15th century retreat, abandoned nearly 100 years later with the arrival of the conquistadors. 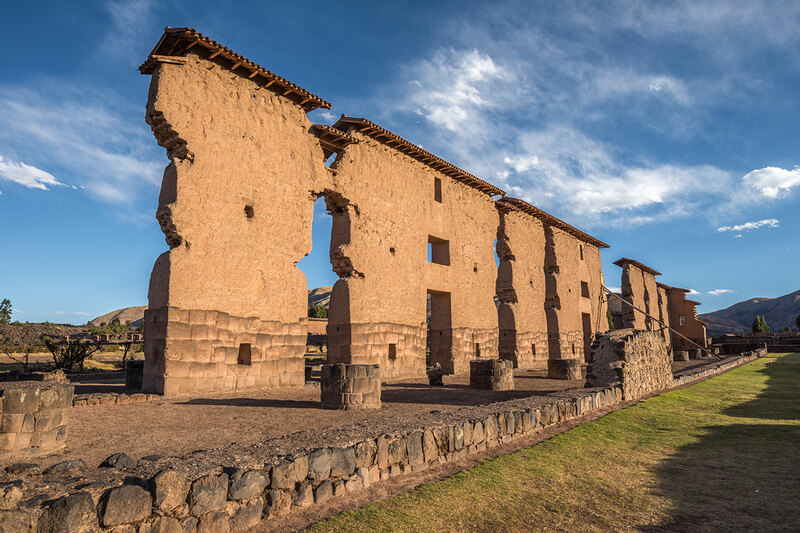 See the highlights of the site including the imposing Temple of the Sun, the House of the Priest, the Sacred Plaza and the intricately carved rock likely used as a sundial by the ancient Incas. The images of this significant archaeological site will be a long-lasting memory. Return to the Sacred Valley in the early evening and transfer to your hotel in Cuzco for overnight. Please note – the approximate time spent at the ruins of Machu Picchu is 2 hours. Enjoy this morning at leisure in the “Imperial City” of Cuzco. Take time to explore some of the city’s stunning sights or shop for some of the finest handicrafts and textiles in all of Peru. In the afternoon, depart for a tour of Cuzco, view the impressive Colonial Cathedral, which contains over 400 paintings from the Cusqueña School in addition to colonial art. Continue on to visit the Koricancha, the Temple of the Sun, once the most important religious site of the Incas, whose walls and floors were allegedly once covered by sheets of solid gold. Tonight, join your fellow travellers for a buffet dinner, featuring delectable Andean specialties. A long drive today but extremely rewarding. 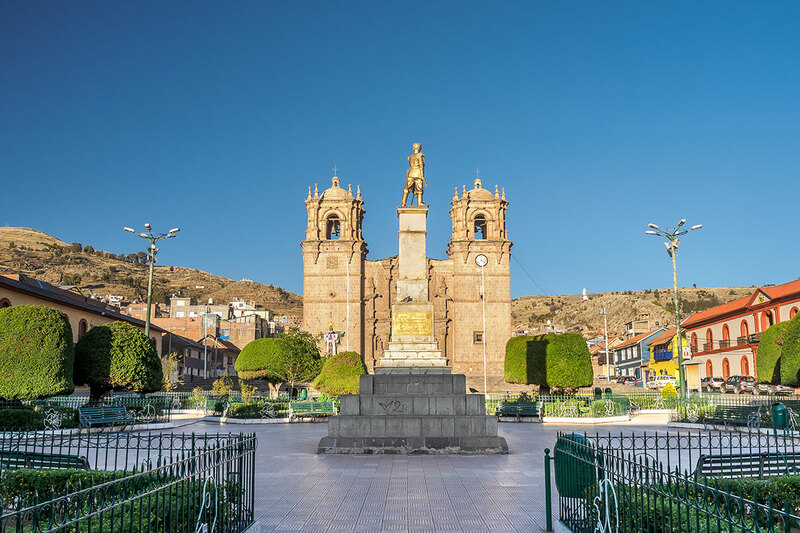 Depart Cuzco early in the morning, enjoying spectacular scenery as you drive through the Andes mountain range and the Andean plains to Puno on the Peruvian side of Lake Titicaca. In this area, South American llamas and alpacas graze on the immense plateaus and plains. En-route visit the 15th century Temple of Wiracocha, with its elaborate stonework, the largest Inca temple ever discovered. Today, Raqchi remains home to many farmers, ranchers and artisans. Then, arrive at pristine Lake Titicaca sitting majestically at 12,500 feet above sea level, backed by the snow-capped peaks of Bolivia’s Cordillera Real range. This is the highest navigable lake in the world and South America’s largest fresh water lake. A boxed lunch will be provided today. 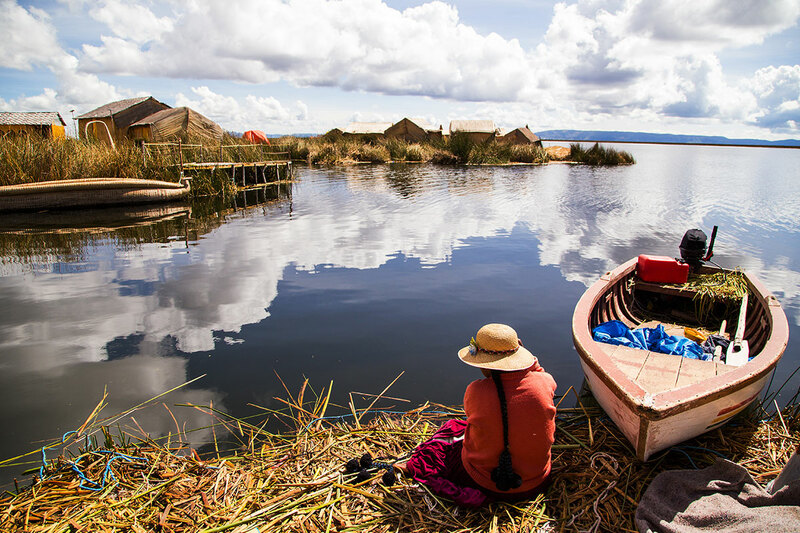 This morning, an excursion by boat transports you from Puno to the fascinating Uros Floating Islands where the indigenous people of the area, the Uros, live on islands that dot the lake. The Uros live very much the same way as their ancestors did and still follow the ancient customs and traditions. These islands are completely manmade structures, using the totora reeds from the lake to build the islands and houses. Return to Puno for the remainder of the day at leisure. Optional Tour (at own expense, refer fine print): Sillustani Tombs, the pre-Incan burial ground on the shores of Lake Umayo. The tombs here are built above the ground in tower-like structures called chullpas, vestiges of the Colla people before they were conquered by the Incas in the 15th century. The scenic drive to Colca takes you into some of the most magnificent terrain you’re ever likely to see. Admire tiny villages on an unspoiled countryside of Andean hills and terraced farmlands sloping into vast valleys. Perhaps you will see shepherds, some of who are descended from indigenous tribes like the Collagua and Cabana, tending to their alpaca. Upon arrival in Colca, settle into your comfortable accommodations at Colca Lodge. The land here is fed by hot springs, and there will be time to relax and enjoy the medicinal benefits of thermal baths, that are due to the high content of calcium, zinc and iron. This morning’s journey takes you to the Colca Canyon, reportedly the deepest in the world, thought to be twice as deep as the Grand Canyon. The Colca River has carved this geologic wonder over millennia and some of the terraced hillsides are known to pre-date Incan civilization. Here, the Canyon is home to the extraordinary Andean condor. Although the population of condors in South America is dwindling, at the Colca Canyon they can be seen soaring gracefully overhead. The floor portions of the canyon are surprisingly habitable, with fields still supporting agriculture and human life. Colca Valley has been known by many different names including The Valley of Wonders, The Valley of Fire and The Territory of the Condor. Today we drive to Arequipa to explore this remarkable colonial city, guarded by three dramatic volcanoes. 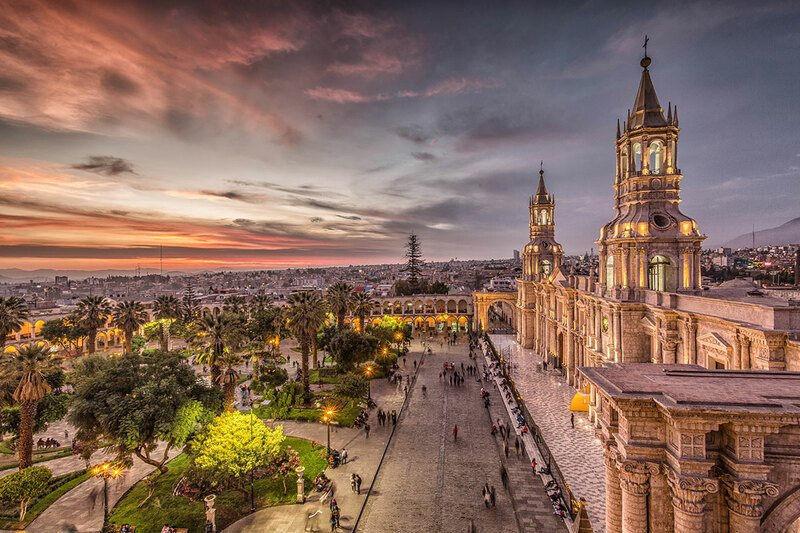 Its beauty lies in its cultural purity; Arequipa’s remote location has allowed its Spanish-based culture to thrive with little outside influence. Much of the city’s breathtaking architecture was built with sillar, a white volcanic rock. The shimmering stone lends a bright air to the streets – and has earned the city the nickname “La Ciudad Blanca,” the White City. 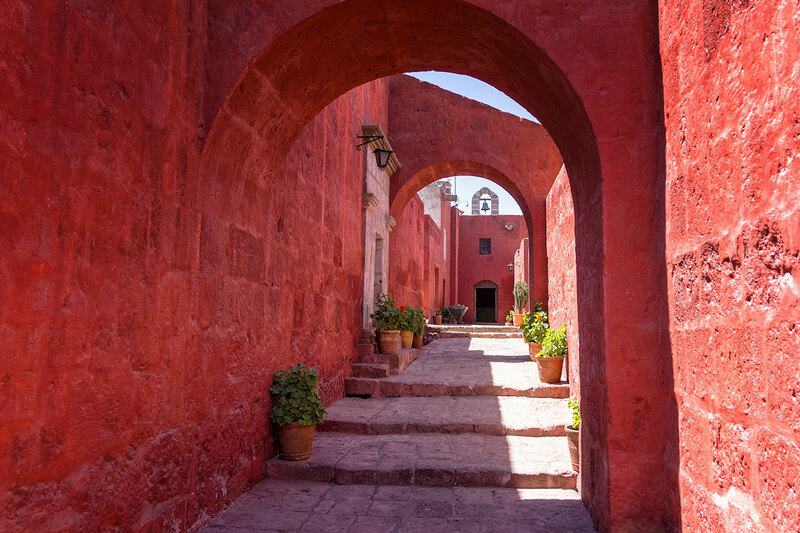 You’ll visit two striking 16th-century structures in the historic Plaza de Armas – the massive cathedral and the Santa Catalina Monastery, beloved for its vividly painted façades. You’ll also browse the local San Camilo Market, whose stalls overflow with colourful produce and textiles. Sample some local fruit here and mingle with farmers who cart in their harvest from the Andean countryside. Enjoy the evening at leisure. Please note – this tour is an active itinerary, including several walking tours, some early starts and long days. Single Supplement: $900 per person in addition to our twin share voucher. 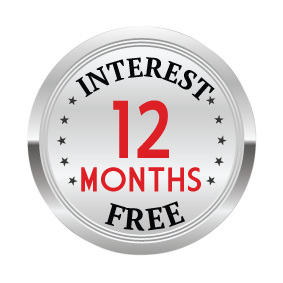 Optional Tours must be purchased within 7 days of your initial booking. Please email customerexperience@webjetexclusives.com.au to ensure your booking is correctly updated. Failure to do so may result in you not being accepted on this optional tour and your purchase will be refunded. Optional Tours requested within 70 days of travel cannot be accepted.